As Vox explained, “The resolution consists of a preamble, five goals, 14 projects, and 15 requirements. 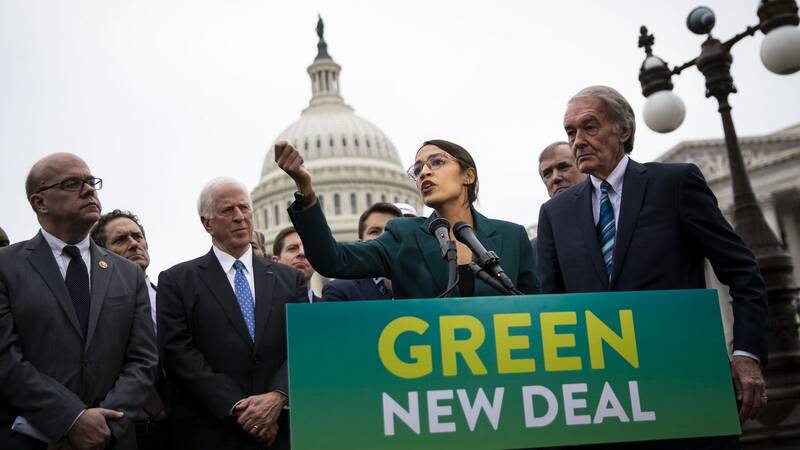 The preamble establishes that there are two crises, a climate crisis and an economic crisis of wage stagnation and growing inequality, and that the GND can address both.” The goals of the GND include achieving net-zero GHG emissions, a federal jobs creation program, upgrading infrastructure, ensuring that Americans live in healthy and equitable environments, and promoting justice by “preventing future, and repairing historic oppression of indigenous communities, communities of color, migrant communities, deindustrialized communities, depopulated rural communities, the poor, low-income workers,women, the elderly, the unhoused, people with disabilities, and youth.” By focusing on justice and investment in American people and systems to achieve a low-carbon economy, the Green New Deal identifies what makes America truly great: our people and our ingenuity. Why This Matters: This resolution doesn’t give specifics of how to achieve its bold goals or pay for them but instead creates a starting point for conversation and negotiation with an incredibly diverse group of stakeholders ranging from vulnerable communities to academia and businesses. It focuses on jobs, infrastructure, and the role of government as a mechanism to help people and provide them with the tools to live safely and healthfully. Since a resolution is not a bill it’s not going to be debated in Congress but rather creates a roadmap for what a sustainable future in America looks like, for instance, the goal of “meeting 100 percent of the power demand in the United States through clean, renewable, and zero-emission energy sources” doesn’t pick winners or losers but clearly defines where we have to go as a nation.